As the Coachella Music Festival has exploded, one of the most technologically innovative things they have done is stream video of the festival online for those who could not attend. 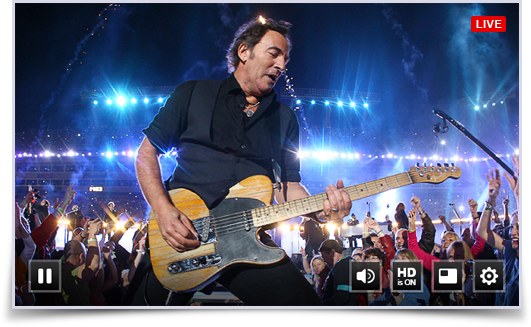 This video wasn’t live, but it has amply demonstrated that there is a market for streaming concert footage. Not only that, but with the right technology and hosting, you can stream live a concert to people halfway across the world. At TikiLIVE, we believe your audience deserves the best viewing experience possible. That is why we make sure your high definition video is supported by a robust delivery infrastructure that seamlessly streams your video across a variety of user platforms. Your content is carefully encoded to make sure that there is no drop off in quality or service no matter where your audience views your content. We give our clients the tools to expand their brand and reach across the internet through the use of powerful social media tools and viewer analytics. TikiLIVE makes sure you have the necessary technology to stand out from the pack. 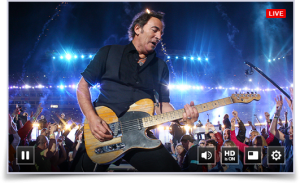 TikiLIVE specializes in helping you monetize your streaming live concert video. We have developed a powerful suite of options that will allow you to present and sell live event access like a pro. We offer the following broadcast options and ticketing tools. • Live Streaming to Mobile Devices – Today’s audience doesn’t view their music concerts just in front of their desktops or laptops, they now expect to be able to access video content wherever they are. TikiLIVE makes sure your video files are encoded with HTML5, which means your content can be viewed on mobile devices such as smart phones and tablets. We make sure that both iOS and Android operating system devices encounter no issues with streaming content from you and TikiLIVE. • Internet Protocol Television (IPTV) – Set top boxes, like Roku, that deliver internet streamed content to your audience’s flat screen TVs are becoming more and more popular. With TikiLIVE, you will be able to stream your live concert content alongside such internet powerhouses like Netflix, Hulu, Amazon, etc. Viewers will be able to make some popcorn, sit down on their couch, turn on their TV and be immersed in the visual feast that is your concert event. • Social Media Tools – With TikiLIVE, you’ll to be able to increase your social media presence. We‘ve created a Facebook share tool that will allow viewers to share your broadcast channels on their Facebook page. This will show up in their friend’s Facebook feed, allowing your broadcast channel to be seen by an untold number of new viewers. We make sure your fans can spread the word about your live concert series with all their friends on Facebook, Google+, Twitter and many other social networks. • Permissions to Sell – TikiLIVE makes sure that you can designate individual sellers or groups of individuals to help sell your content. This delegation of power is great to have, as your company grows and you work more on the business development aspect of your company. • Live Event Pricing – When considering ticket price for your Pay Per View events, it’s important to understand that there are transmission and vendor costs associated with broadcasting live video. TikiLIVE makes sure you are able to see an accurate cost breakdown so that you are able to set a ticket price that meets your needed profit margin. • Video Pricing – Once your live event has been broadcasted, TikiLIVE allows you to preserve the option of selling access to the recorded video. This allows you to earn revenue long after the live concert has concluded. • Pay Per View Streaming – TikiLIVE has a powerful Channel Manager that allows its users to assign upcoming events to playlists that will then begin to broadcast at the scheduled air time. • Ticket Listing Page – The TikiLIVE Ticket Listing Page will allow you to manage tickets to your events. This page lists details of ticket sales by time for each event. This page allows you to view refund requests as well. • Pay Per View Analysis – TikiLIVE provides you with ticket sales numbers for all events on a summary page that shows a general analysis of all event sales. • Refund Tool – The TikiLIVE refund feature allows you to grant or turn down refund requests by pay per view ticket purchasers. In this page, you’ll be able to see the ticket seller, purchaser, refund request reason, and other data. • Merchant Setup – This page will allow you to set up ticket vendors to sell access, like PayPal, to your live streaming events. Our Merchant Setup page has a drop down menu of approved merchants that will work with our infrastructure. The detail listing will show what user added the merchant, the date they were added, and any outstanding actions. • Complimentary Tickets – One way to create new business connections or solidify already existing relationships is by granting free access to your live streaming concerts. We have a Grant User Ticket page that you can use for just this type of situation. We’ve covered a lot of ground in just a very small amount of time. It’s natural to have questions about TikiLIVE and the many services and tools we provide. That’s why we have a highly trained customer support staff that is always ready and happy to work with you. We’ll discuss the best TikiLIVE options and tools that work for you and make sure you get the best service at a price you can afford. Contact us today!